I went to one of the BSSK mind, body, spirit fairs on Saturday and, amongst other things, I picked up some lovely new crystals. I’ve written before about some of the crystals I own and I know a lot of you are also interested in them so I thought I’d share these with you. 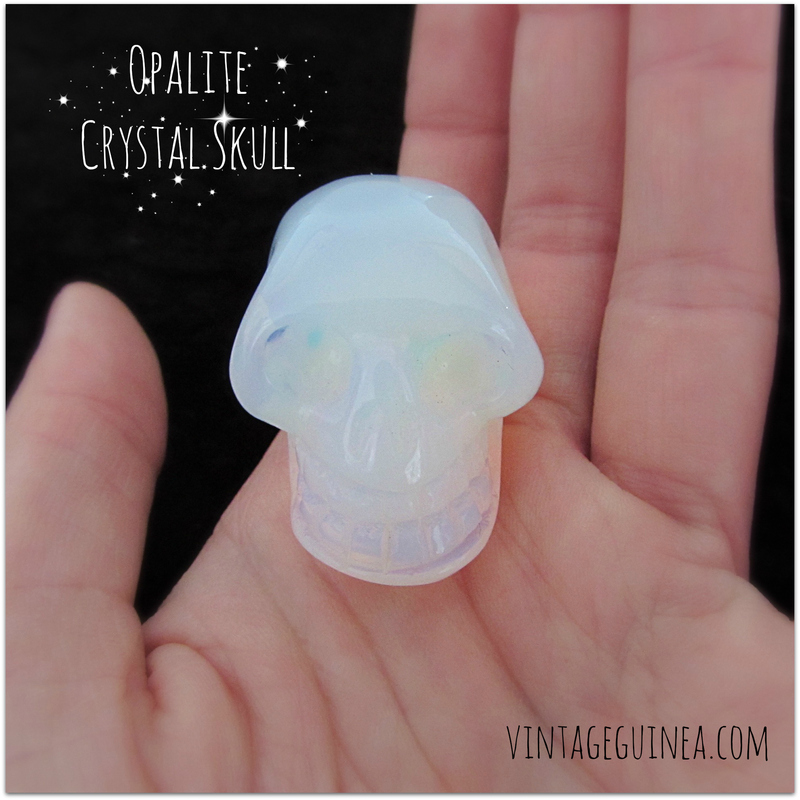 I’ve got a couple of pieces of opalite but I was particularly drawn to this piece as it has been carved into a skull. I got a red jasper skull for Christmas and it’s one of my favourite crystals. Unfortunately, the photograph doesn’t really do it justice but you can get an idea of the beautiful rainbow shades in this crystal. Opalite is said to help bring peace and can also help with stabilising mood swings. Prior to Saturday, I’d never heard of this crystal – I actually thought it was a piece of sodalite when I originally picked it up. 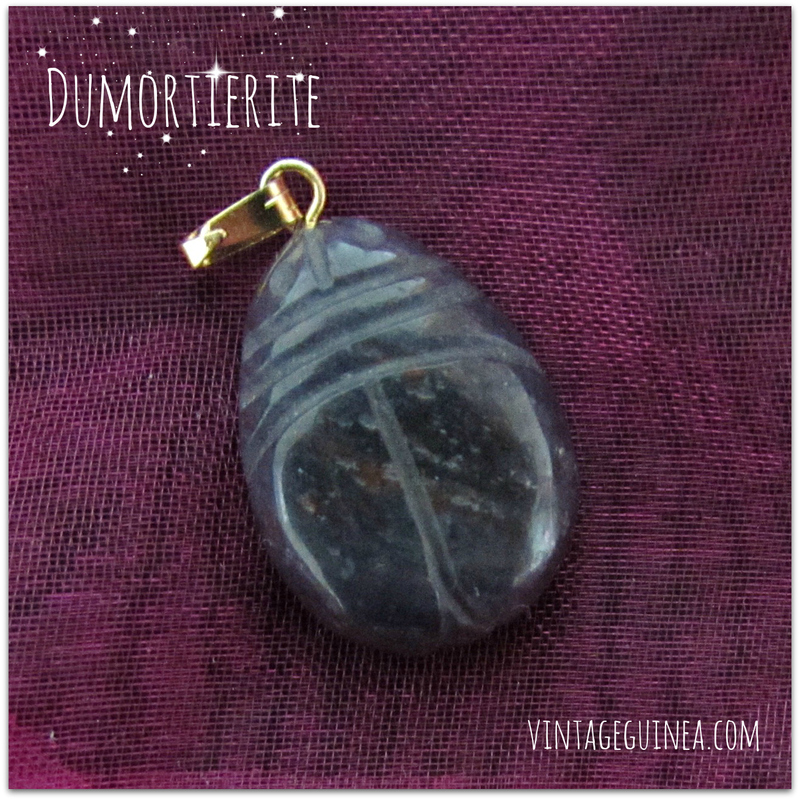 Dumortierite is said to help with intellectual endeavours so I’ll be wearing it when I start researching and writing my dissertation over the next few weeks. 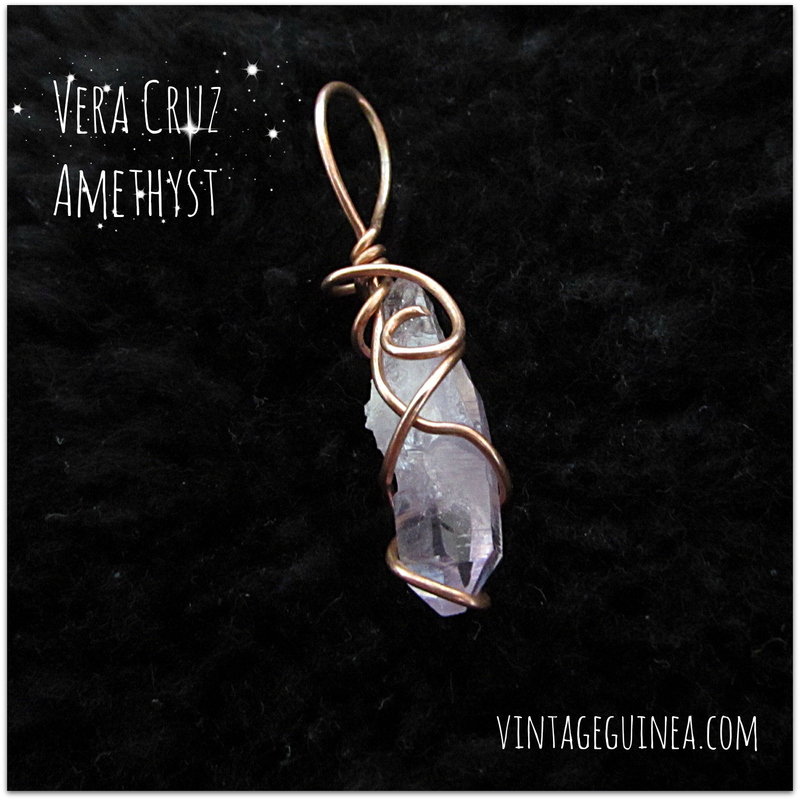 Apparently, Vera Cruz amethyst is quite rare as the Vera Cruz mine in Mexico where it is found has been closed down for some years. This pendant has been wrapped in copper wire and I think it was the almost rustic nature of the design that really caught my eye. This crystal is said to have very high vibrational energy and aids meditation. I was initially a little disappointed as I went with the intention of buying a red jasper ring but couldn’t find one anywhere! 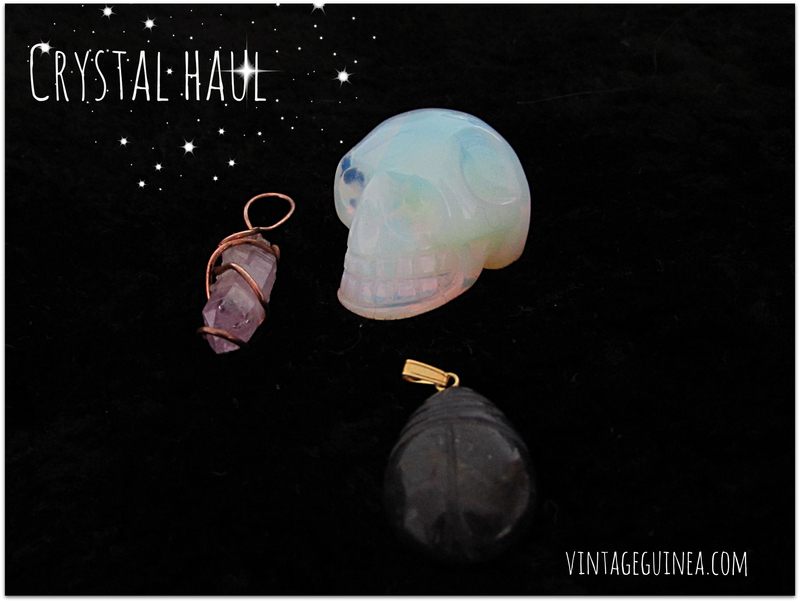 However, I ended up discovering two new crystals and buying three pieces I really love. Do you have favourite crystals and how have they helped you? I’d love to hear your experiences, so please let me know in the comments below. I have been interested in crystals for many years so I’ve decided to write some occasional posts on different crystals and their properties. I know many people enjoy having crystals in their home and even if you don’t consider them to have any special energies, they are beautiful things to have on display or to handle. My favourite crystal is red jasper. It is considered to be a protective stone and it can be used if you want to increase your energy. 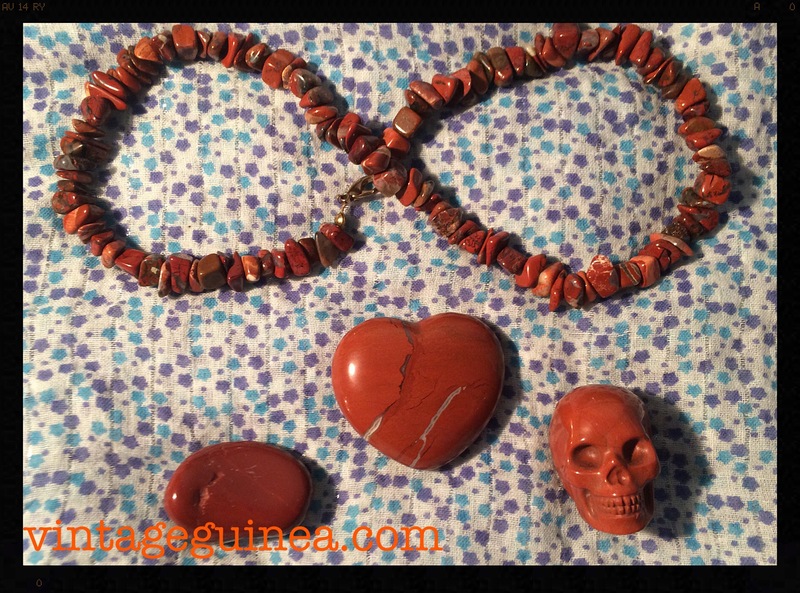 Whilst writing my essay, I surrounded myself with red jasper as I felt it helped me focus and increased my stamina to write for hours on end! It is a crystal associated with the base chakra, which means that it is grounding and enables connection with Earth energies. Red jasper is an orangey-red shade and can have greyish flecks running through it. 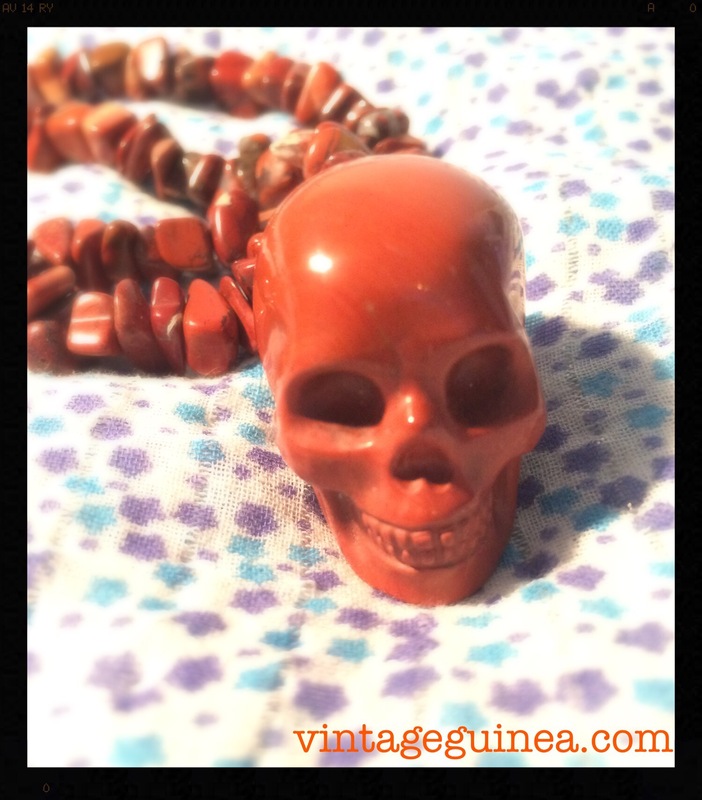 For Christmas, my mum bought me a lovely red jasper skull. 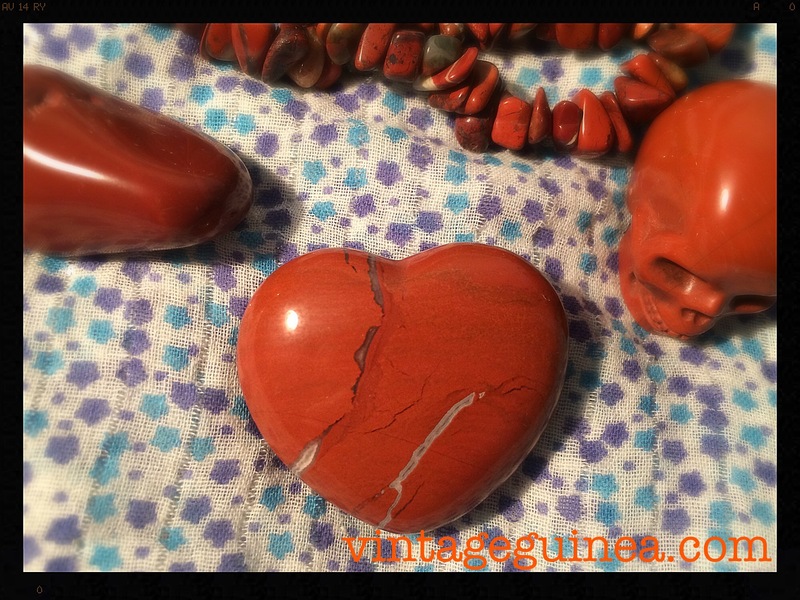 I have a red jasper heart which I have borrowed from her as I love how it looks and feels. I also managed to pick up an amazing 1970s vintage red jasper chip necklace on eBay a couple of weeks ago to add to my collection. Have any of you used crystals and if so, what are your favourites and why?